One thing to be aware of, however, is that according to Dr. Wright, “gradually increasing quantities of lemon juice (citric acid) or vinegar (acetic acid) will often relieve some or even all symptoms. 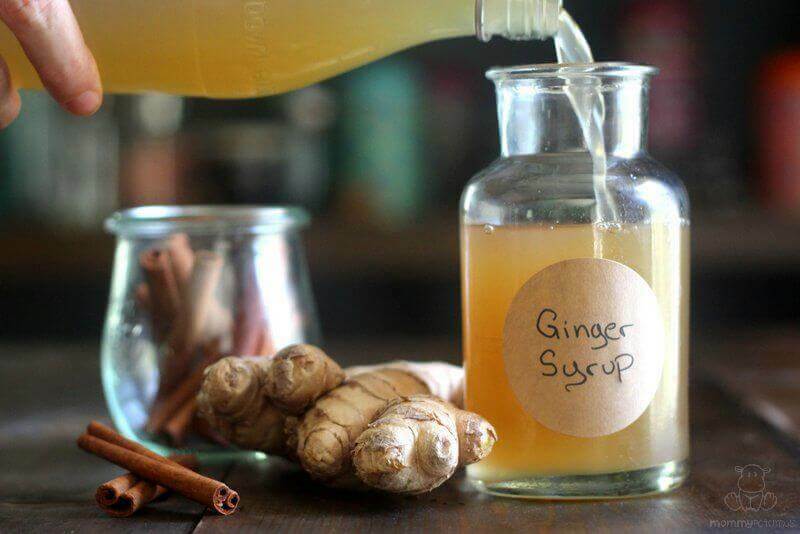 This is supported by the common practice in some cultures of treating gastric discomfort with lemon juice or vinegar. 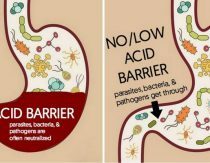 Unfortunately, even though symptoms may be improved, actual nutrient digestion and assimilation are not improved nearly as much as with HCL” He’s talking about hydrochloric acid, which we’ll cover later in this post. To Use: Most often, individuals add 1-2 teaspoons apple cider vinegar or lemon juice to a little water and drink just before meals. If needed, the amount is gradually increased until the individual determines the optimal amount for their body. To Use: Follow the instructions on the label. Most digestive bitters contain angelica & gentian, which should be avoided during pregnancy. However, Urban Moonshine has created a version of digestive bitters that is free of those herbs and is considered helpful for occasional heartburn and morning sickness. For individuals who are not pregnant, they have several other available flavors. You can see them all here. Unlike digestive bitters, which stimulate the body’s own production of hydrochloric acid, HCL is actual hydrochloric acid. It is most often paired with Pepsin, because a deficiency in one usually signals a deficiency in the other. It’s really best to work with a knowledgeable practitioner when supplementing HCL with Pepsin. However, if you’re interested in doing a brief trial on your own, Chris Kresser LAc. has put together some suggested guidelines here. In the 30 Day Heartburn Solution, Craig Fear LAc. recommends focusing on gut healing before even considering supplementation with apple cider vinegar, bitters, or HCL. Personally, I opted to incorporate all three strategies at ones: removing triggers, slowly raising stomach acid levels, and supporting optimal digestion using gut healing foods. For gut care, I’m a huge fan of homemade bone broth, grass-fed gelatin, fermented foods like water kefir, kombucha, and beet kvass, and probiotics. As mentioned in my previous post, an overgrowth of certain organisms such as candida and H. pylori can lower stomach acid levels. Somewhere between 1/3 and 2/3 of the human population carries H. pylori – many times without any symptoms at all. (source) When acquired early in life, research suggests that h. pylori may actually be protective against allergies and asthma. (source) On the other hand, it also has a causative relationship with ulcers and gastric cancer. So is H. pylori good or bad? In this talk, Chris Kresser LAc describes it as a somewhat neutral bacteria which may have benefits for some people (usually when acquired early in life) and downsides for others (especially when acquired later). Normally, adequate levels of stomach acid will keep H. pylori levels in check. However, if acid levels dip for any reason (stress, medications, etc. ), H. pylori may use that opportunity to grow out of control. To protect itself from being killed, H. pylori secretes an enzyme called urease which neutralizes hydrochloric acid. If H. pylori is present in significant quantities, it can release a substantial amount of urease and further lower stomach acid, creating a nice, cozy Hotel H. Pylori in the process. When overgrowth is an issue, most practitioners recommend dealing directly with H. pylori in addition to other lifestyle changes. The conventional treatment is a mixture of heavy duty antibiotics with acid blockers. The idea is the the antibiotics will kill the H. pylori while the acid blockers lower acid levels so that the irritated stomach lining can heal. Unfortunately, antibiotic use can actually lead to more gut infections, and the success rate of this method is falling. In this article she outlines the natural strategy she used and shares her actual before/after lab results. What if I’m currently taking an antacid? Is pregnancy heartburn caused by low acid? Possibly. However, there may be other factors that contribute to heartburn during pregnancy. According to Dr. Wright, sometimes it’s due to increased intra-abdominal pressure as everything shifts to accommodate baby. (source) In those cases, chiropractic care may be helpful. If everything slows down, that means food may be staying in the stomach longer, potentially undergoing a little gas buildup. Another function of progesterone is to relax muscles, which may mean that it sometimes relaxes the LES (the muscle that keeps stomach acid out of the esophagus) a little too much. Remember, as mentioned earlier, Urban Moonshine has created a version of digestive bitters that is free of those herbs and is considered helpful for occasional heartburn and morning sickness. Why Stomach Acid Is Good For You: Natural Relief from Heartburn, Indigestion, Reflux and GERD by Jonathan V. Wright, M.D. and Lane Lenard, Ph.D. 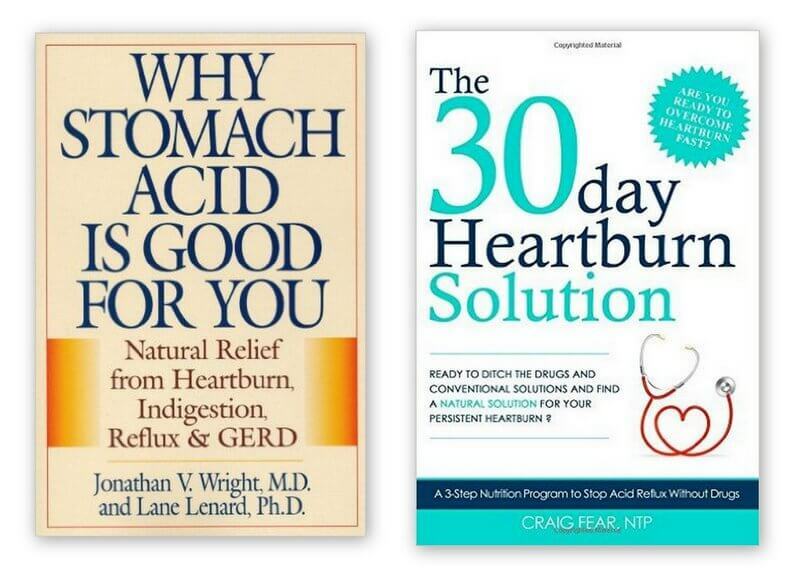 The 30 Day Heartburn Solution by Craig Fear LAc. Thank you for this post. 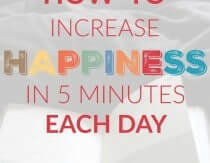 I have struggled with this issue for a while now, and find that when I am in a state of acute stress or I am not careful with my diet the symptoms resurge. One thing I was not clear about from the content of the post was how to alleviate symptoms of heartburn in the moment. I often wish for a “tums style” remedy to take during a flare up and have not found one. I have tried to eat, although I find that too much food is as aggravating as too little and am aware that acids (vinegar, lemon, even bitters) are best taken before food. What has worked for you to do when it is not time for a meal and there are symptoms? Several posters have already given some good advice. I would add that the simplest, should those items not suffice, would be to sip water with some bicarbonate of soda (aka baking soda). However, if you use this with food in your stomach, it will prevent proper digestion. Aloe vera is mentioned and is an exceptional supplement with major nutritional and PH factors. It has even left organ transplant surgeons dumbfounded, when a total liver failure was recently reversed by the addition of aloe. Unfortunately, most of the aloe currently on sale in the US, particularly in the bigger stores, is bogus. It has little and often no aloe. The days of knowing what is in a product by reading a label are disappearing. GMOs, heavy metals and other contaminants aren’t listed, and what is listed, is often not within. What brand of slow did you use? Chiropratic care seems to be helping me! Had a bad heartburn flare up & mentioned it to my chiropractor & she adjusted me in my upper to mid back & said that should help & the heartburn hasn’t returned yet & it’s almost been one whole week! Is this chiropratic adjustments still effective? I’ve had stomach issues for many years. Tried just about everything. Essential oils, homeopathy, ACV, herbs, etc. Did GAPS for a year and a half without much improvement. I found taking the enzymes, HCL and Pepsin only helped while you were taking it and only made my body dependent on it instead of encouraging it to produce it’s own. There is also the problem if the capsule doesn’t go down right and starts to dissolve in your esophagus. I finally tried a tea called Cangest Tea by Alta. I started using it much stronger than the recommended directions on the the container. It’s a powder and I think I did 1 tsp per cup three or four times a day, then after a week or so slowly started backing off. If symptoms returned I knew it was too soon to go down and went back up to my previous level for a little longer. It’s the only thing that has cleared my issues. It’s been about 9 months since I started the tea. I no longer have to drink it but I usually have a cup a few times a week because I enjoy it. I’ve been off of Prilosec for over a week now since trying some of these methods. I can’t take hcl, so I’ve been using lemon juice and ACV instead. I combined that with swedish bitters, mastic gum, probiotic, and vitamins. I’ve been on prilosec for 15 years and never imagined this would work. Thank you so much for these posts. There’s a book called “Hiatal Hernia Syndrome, the mother of all illnesses by Theodore Baroody. Can’t recommend it highly enough. Agree with the info in this article. Getting the stomach pushed down is also essential. I’m a huge fan of Papaya tabs. 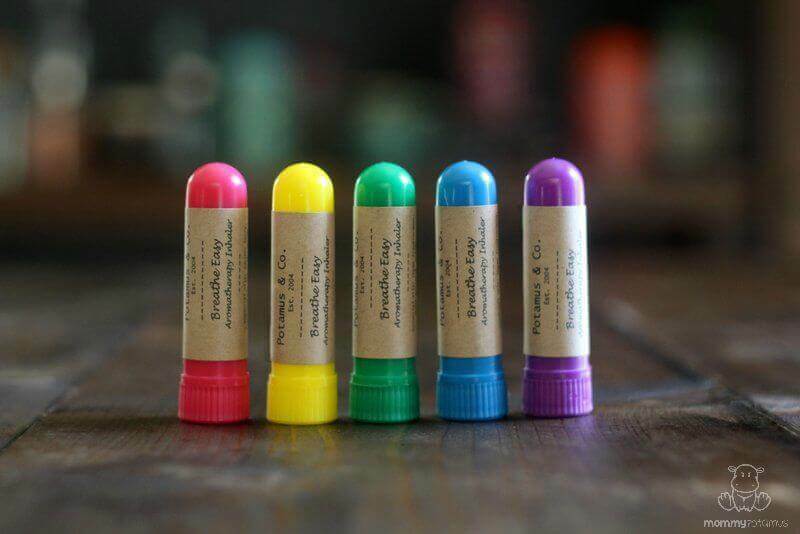 They are available in almost any drug store in the vitamin section and are a great alternative to tums or rolaids type chews. I also recommend trying some food options, but find when talking with friends and family that results vary depending on individual chemistry. My go-to food solutions are in order of effectiveness: 1/2 an apple (for some reason Honey Crisp work best for me); fresh pineapple, cucumbers, dill pickles. After a lot of trial and error, I began eating a banana every morning & before bedtime. That really worked. I got tired of bananas after a few weeks & read about apples helping. For two months I’ve eaten a half an apple every night while settling into bed & now i have been heartburn free ever since. I took Prilosec 20 mg twice a day & Zantac 300mg every day for over 10 years & still had horrible heartburn at night. As they say ” an apple a day”. Prev Post What Causes Heartburn?